Christie Brinkins from United Cerebral Palsy Center came to thank the Optimist for painting her facility. She distributed bake goods for all in attendance with special thanks to Max Miller for organizing the whole event. She circulated a thankyou card and a picture album of the after – CPC. Max Miller announced a tour of the facility after lunch for anyone interested. Carl Scott gave the HyVee gift card to Mike Connor for the work he did on the Tree Lot on Friday after Thanksgiving. He along with another new member, Harold Rowe, helped with the sale of the large 10’ trees that constituted the majority of sales that day. With this help, Carl explained we avoided member injury and over fatigue. Steve Winters recapped his week: Steve, as president of the Columbia Woodcarvers, received an invitation to host part of the first Christkindlmarkt in Columbia. It was held last Friday night in the courtyard of the former Pasta Factory. Scott Stager gave a helping hand. The two bought Optimist Christmas Trees telling the large crowd of folks in attendance where they could purchase them. Organizer of the Night of Living Windows had requested he bring something to see. So, wood craver created set of three Christmas trees (12”, 10”, 8”) some were stained and sold them for $45.00 per set. The money goes for carving tools and safety supplies for kids who want to learn about wood carving. Koeze Nuts – Steve Winters: Thirty nine boxes of nuts from the most recent order of Koeze nuts arrived Monday. They will be organized and ready for member pickup Tuesday. Restaurant gift certificates are expected to arrive Wednesday and will be available for member pick up the following day. Christmas Trees – Jack Cruise reported tree sales are strong but still running behind last year. To date sales are $45,000 compared to last year at this time $54,000. Scott Stager commented that our new website is working well. A recent customer, new to Columbia, told him she googled “Fraser trees in Columbia” and was directed to the club’s new website (with a picture of Scott holding the trees). Steve Winters cautioned the 5:00 – 7:00 crews to pay attention to closing tasks. Crews have left without shutting off the coffee pot or locking the clubhouse door. The Volunteer Sheet was circulated during the luncheon presentation. 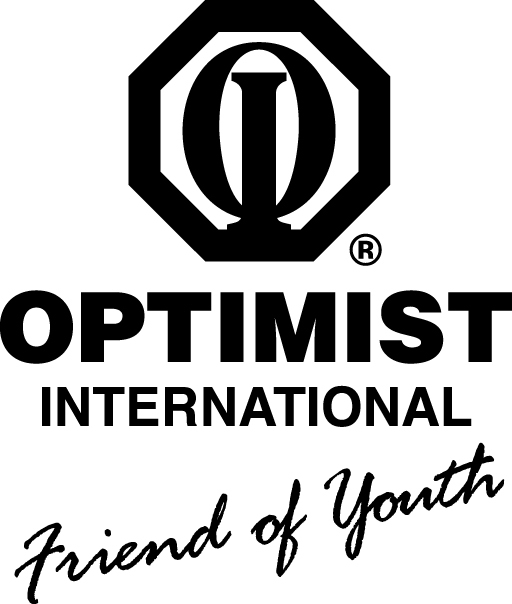 Kids First and Sunrise Optimists celebration dinner– Dec 14 @ 6:00 pm – 9:30 at the Sunrise Optimist Clubhouse 2410 Parker St. in Columbia. Davis Entertainment will spin dance tunes from all genres. Attendee are encouraged to bring a gift or toy (even cleaning supplies are needed) to benefit Rainbow House. RSVP TOM Luckenbill 573-886-8949 or tom@missourilegacy.com / $10.00 / person donation. Ed Musterman and wife, Sue, have already signed up. DOC Holiday lunch will be at the clubhouse on December 19 at 11:30. Hy-Vee is catering. Cost is $10.00/person. Larry Fick announced 35 members have already signed up. Members are encouraged to invite former members for this event. Larry can be contacted at 445-2743 for those not yet signed up. Respect for law committee. Ed Musterman is still looking for additional members to help organize this event. December 5 – Major Jack Holloway of the Salvation Army gave a lively and informative presentation of the History of the Salvation Army and its work here in Columbia. Founded in East London in 1865 by William Booth to work with alcoholics, prostitutes and the poor down and outs, the SA is now in 126 countries. Initially called a Volunteer Army, it soon changed its name to the Salvation Army as an army saving souls. It was the first to fight for a living wage and for safety in factories. It has kept the military theme with its titles such as captain, major and general but it has a serious religious underpinning. Some of the good works the SA performs worldwide include a school for the blind in Africa, culinary arts schools in Hawaii and Chicago. The Chicago program has teamed with Marriott Hotels to not only train their clients but to place them in high paying restaurants positions. Major Holloway was recently assigned the Columbia/Jefferson City area. He has been here for five months now. The two SA Thrift stores in Columbia (Parkade and W. Ash) net about $800,000 a year to underwrite the cost of their operations. The Harbor Light Shelter on Ann Street has 61 beds (23 for men, 14 for women and the remainder in six separate units for families with children). He categorizes their clients into three separate categories 1) Emergency, 2) Workers in progress and 3) alternative programs for a path through recovery. Clients may stay anywhere from a day to six months. Columbia SA partners with Bed Bath and Beyond to supply residents who transition to housing with necessary household products. In addition SA also works with veterans in the Welcome Home project. Major Holloway also shared some personal experiences that brought him to SA and provides him with a meaningful life. For him the SA provides a pathway of support for broken people or those experiencing really bad luck to a life worth living. For him there is a very thin line, possibly invisible, between their religious approach and their people focused helping approach. Anyone wanting to donate can do so at the Ash SA store 9:00 – 4:30 Mon – Sat. Volunteers to be Bell Ringer can contact Captain Katie Harris at 442-3229. The meeting ended at 12:50 with the Creed. January 30 – Marnie Clark, Cancer Research Center.